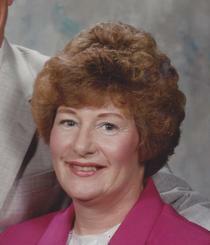 Rita (Nicholson) Hudson Obituary - Silas F. Richardson & Son, Inc.
LEOMINSTER----Rita I. (Nicholson) Hudson, 79 years old of Leominster, died Saturday, January 5, 2019 in the Sterling Village. She is survived by her daughter Julie Lamarche and her husband Philip of Leominster; son Barry M. Hudson and his wife Michelle of Leominster; 4 grandchildren Andrew Lamarche and his wife Cynthia of Lunenburg, Ryanne Keller and her husband Daniel of West Boylston, Jake Hudson and Brooke Hudson both of Leominster; 4 great grandchildren Jay, Lilyana, Tyler and Adalyn; several nephews and a niece. She was predeceased by her husband of 34 years Raymond J. Hudson in 1993, sister Sheila Haverty, 3 brothers Bramwell Nicholson, and twins John and Edward Nicholson. Rita was born May 17, 1939 in London, England, daughter of Bramwell and Mabel (Williams) Nicholson and had lived in the United States for the past 48 years. She had been a medical secretary at Leominster Hospital and in the office of Dr. Mark Fontaine. Rita was a member of St. Mark’s Episcopal Church and she enjoyed gardening, reading, knitting and the Drum Corps. Rita’s family would like to especially thank the entire staff at Sterling Village and most recently Trinty Hospice for the loving, kind, and compassionate care she received. A memorial service will be held on Wednesday, January 9th at 11 am in the Silas F. Richardson & Son Funeral Home, 106 West Street, Leominster. Memorial contributions may be made to the Alzheimer’s Association, 309 Waverly Oaks Road, Waltham, MA 02452. My condolences to your family. May the hope expressed at Job 14:13-15 give you some comfort for your great loss. Our deepest sympathies to you and your family. Your mom was a great lady and it was great to get to know her in our time in the band. She never missed a concert or performance, and I can remember the trip to Disney when she attended. There was never a time she did not say hello or talk with us. May the memories eventually ease the sadness. She was a great lady.